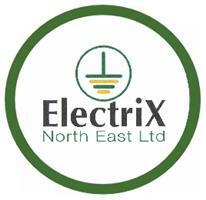 Electrix North East Ltd - Electrician based in Eaglescliffe, Durham. Founded in 2007, we pride ourselves on Reliability, Price and Customer Service, with the majority of our work coming via recommendations. We are contractors for a number of Letting Agencies and also carry out Electrical work for Local Builders and other Tradesmen. All aspects of Commercial and Domestic Electrical work are covered and no job is too small.